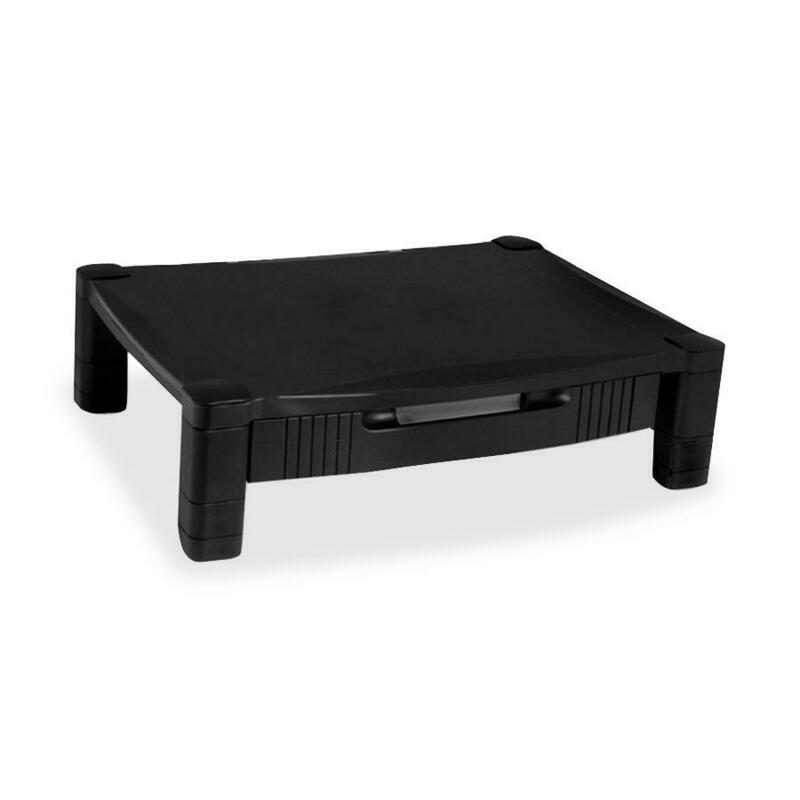 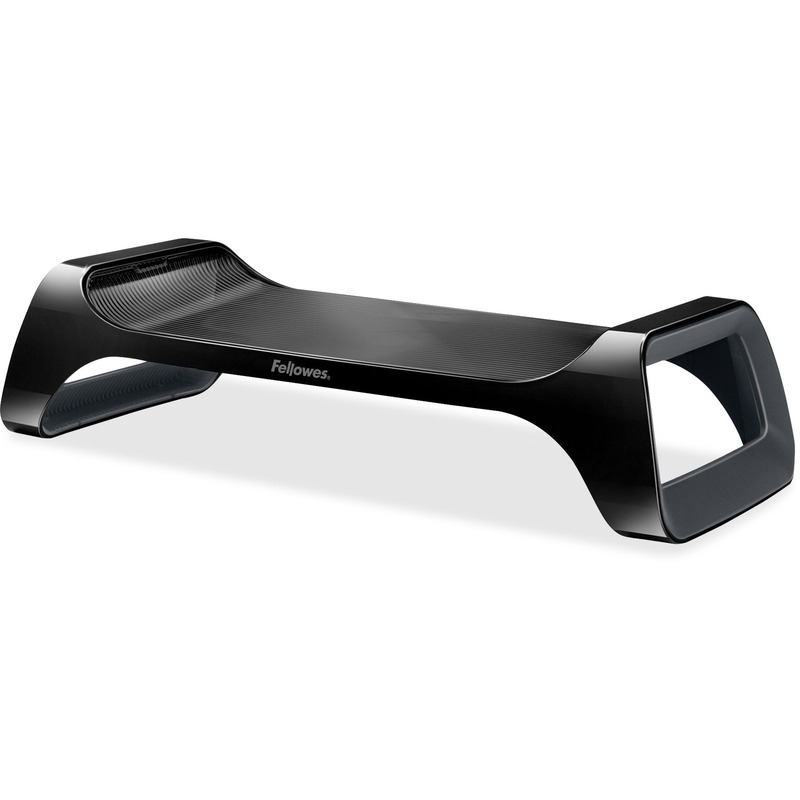 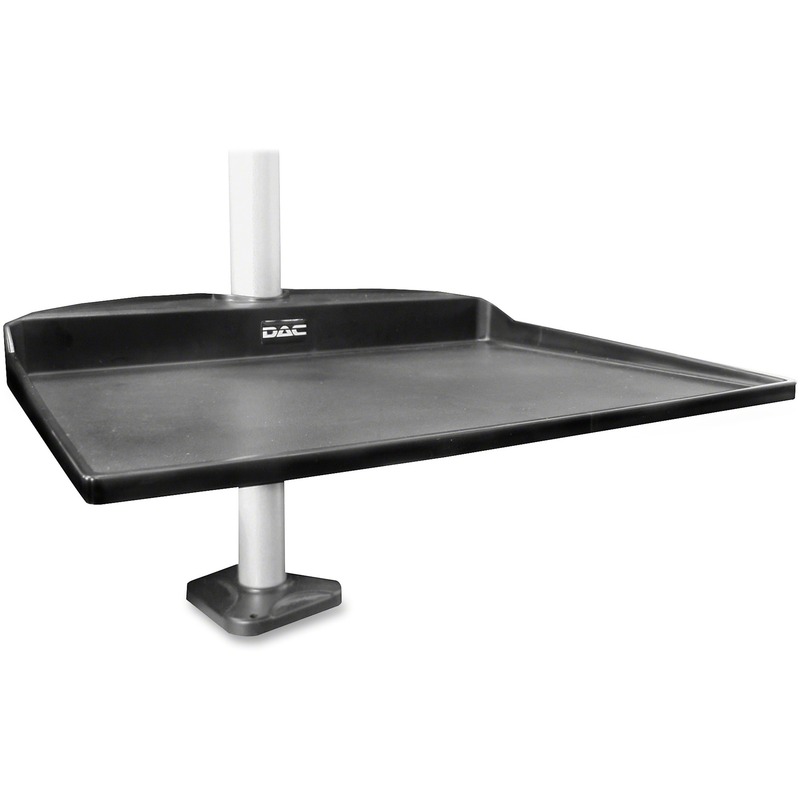 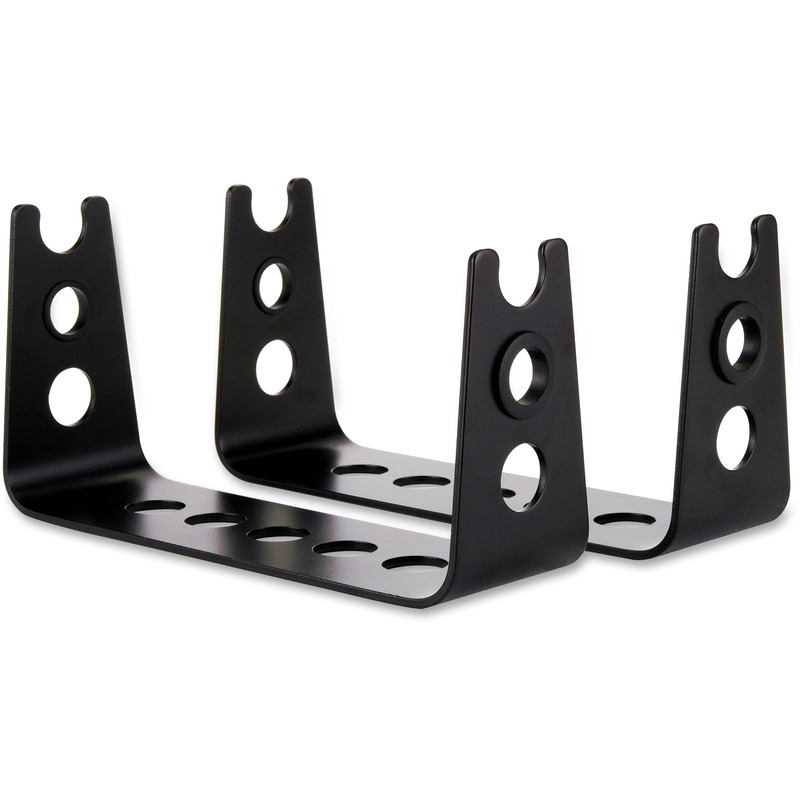 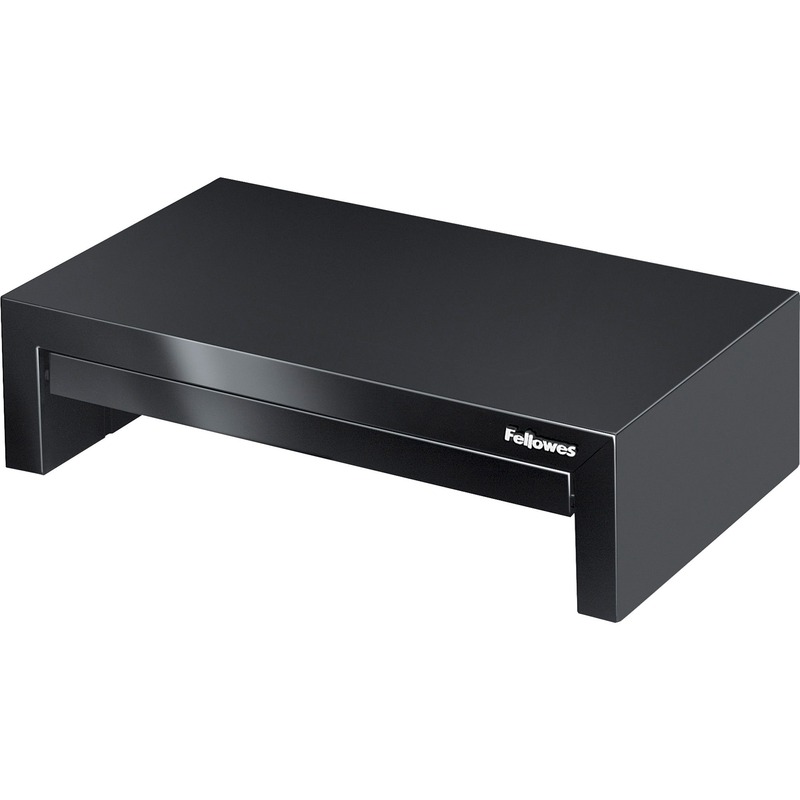 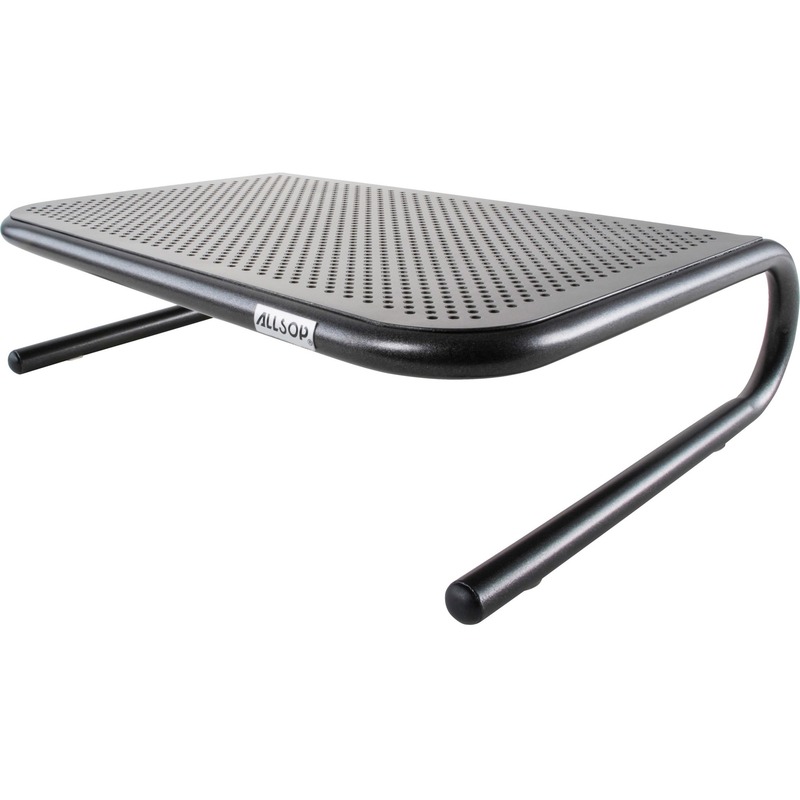 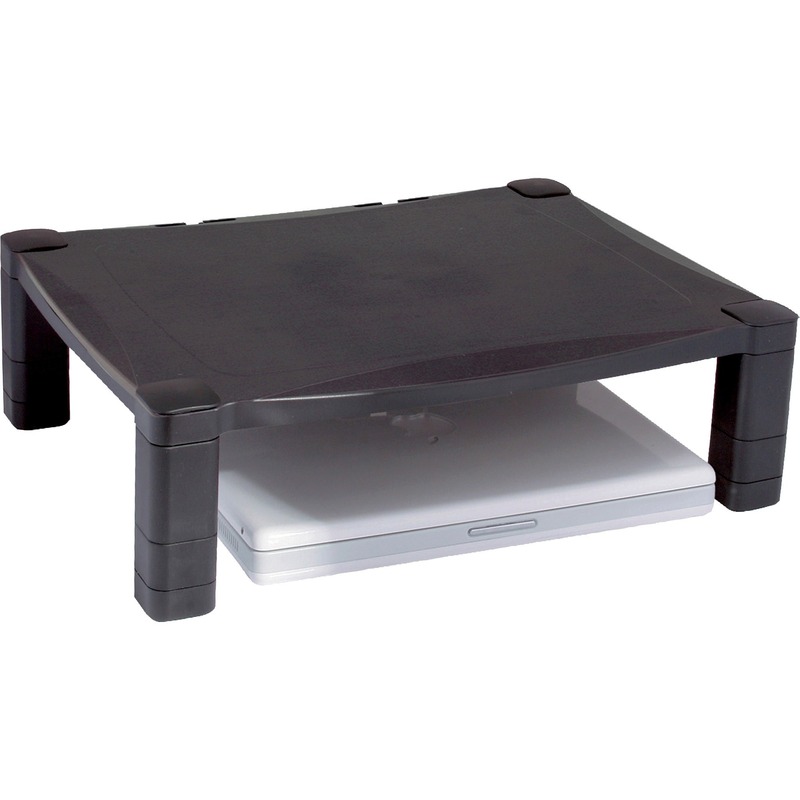 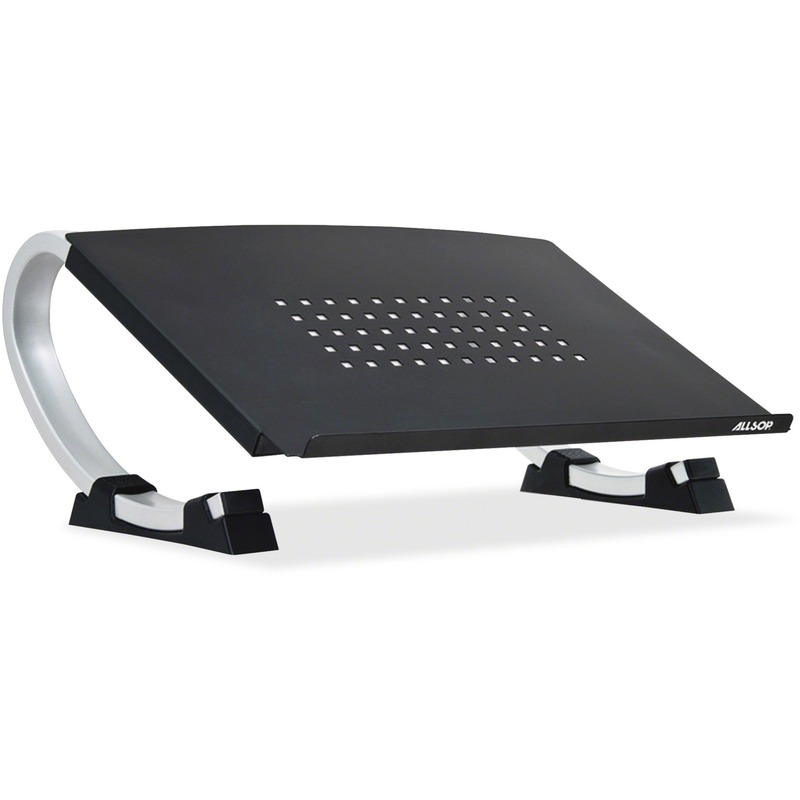 Steel design provides sturdy shelf for monitor or printer up to 40 lb. 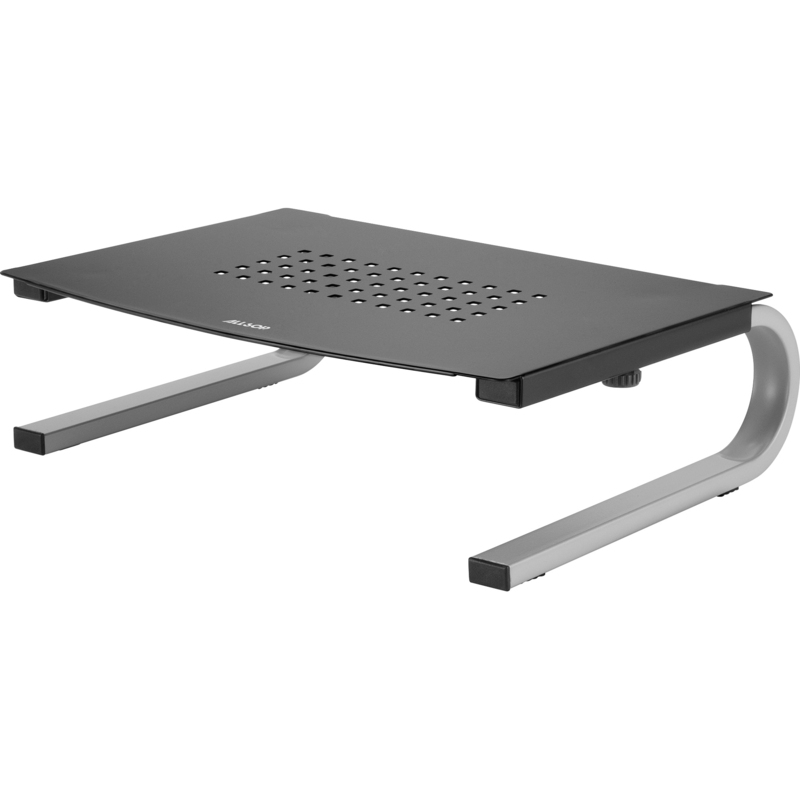 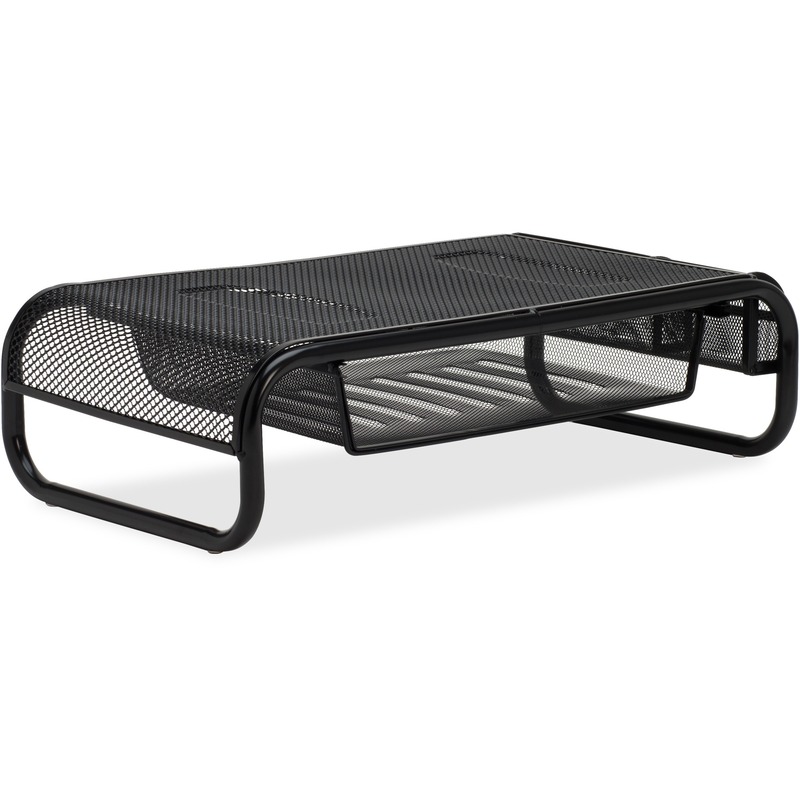 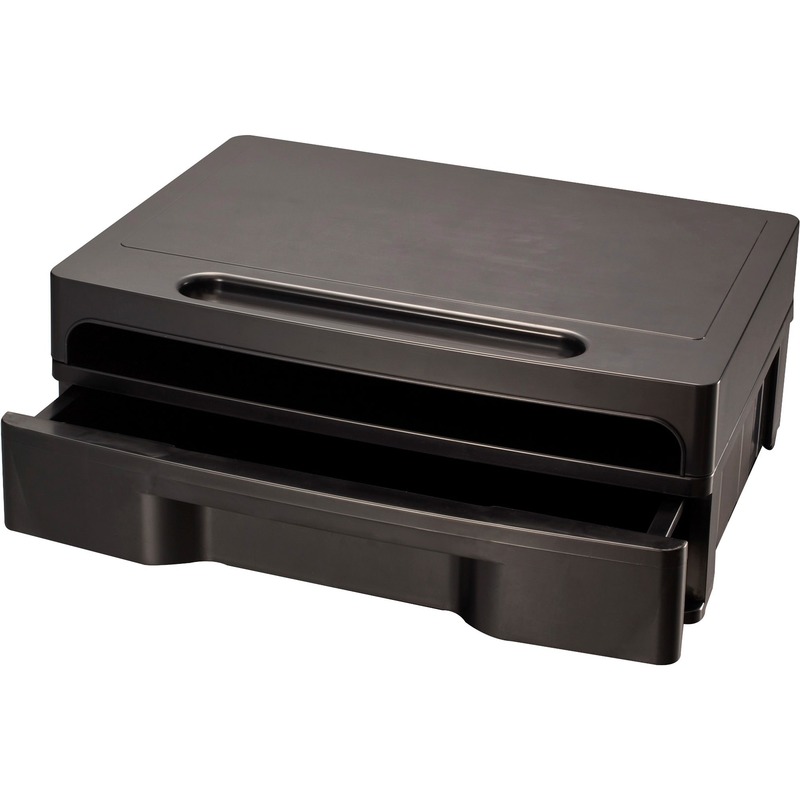 Steel design provides sturdy shelf for monitor or printer up to 70 lb. 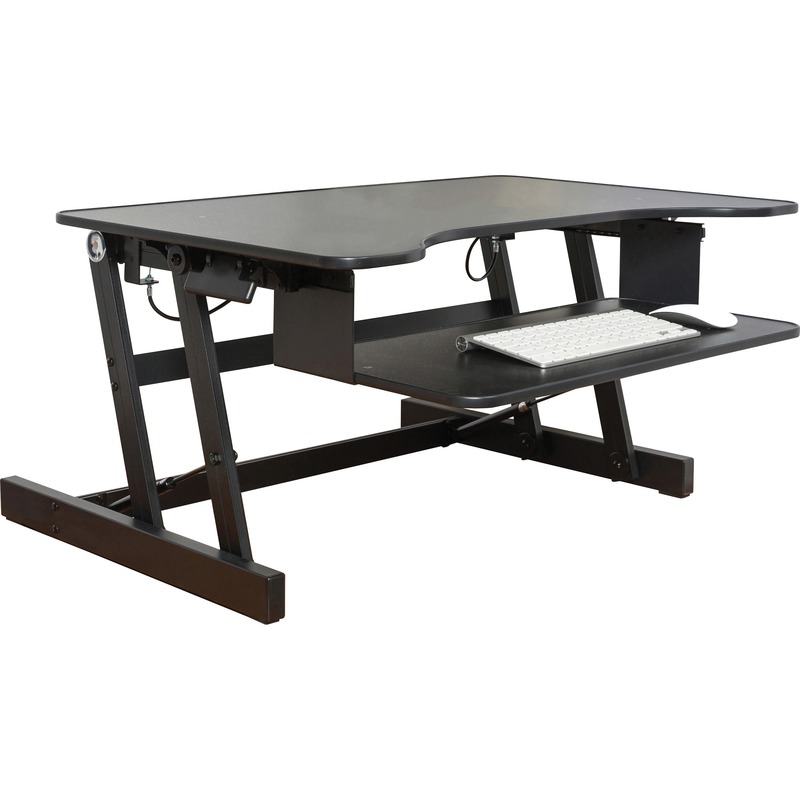 Riser lifts your notebook to an ergonomically correct height; adjustable from 4" to 6"
Strong enough to support flat panel up to 35 lb. 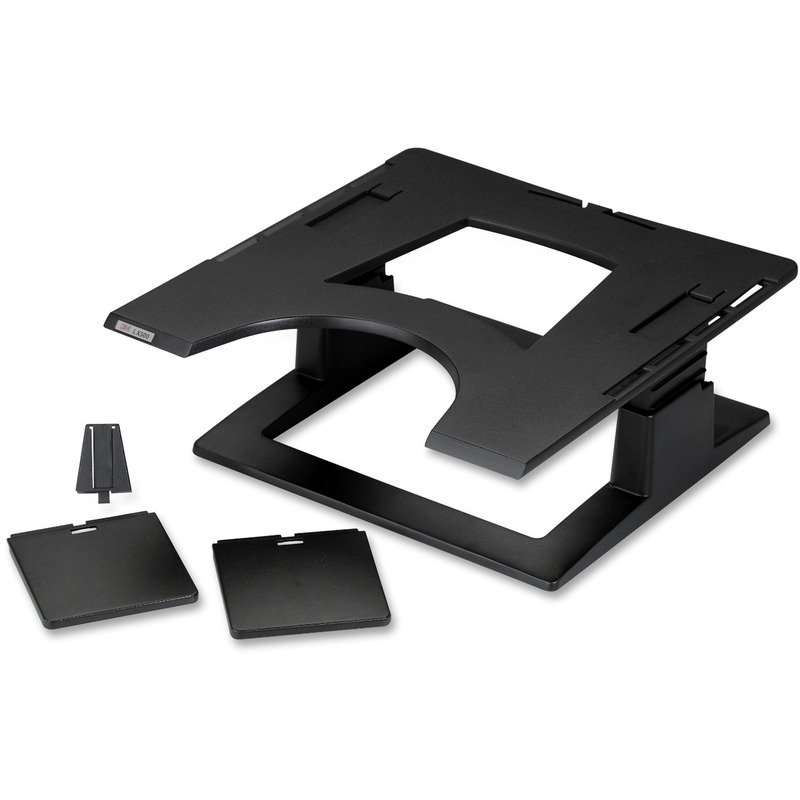 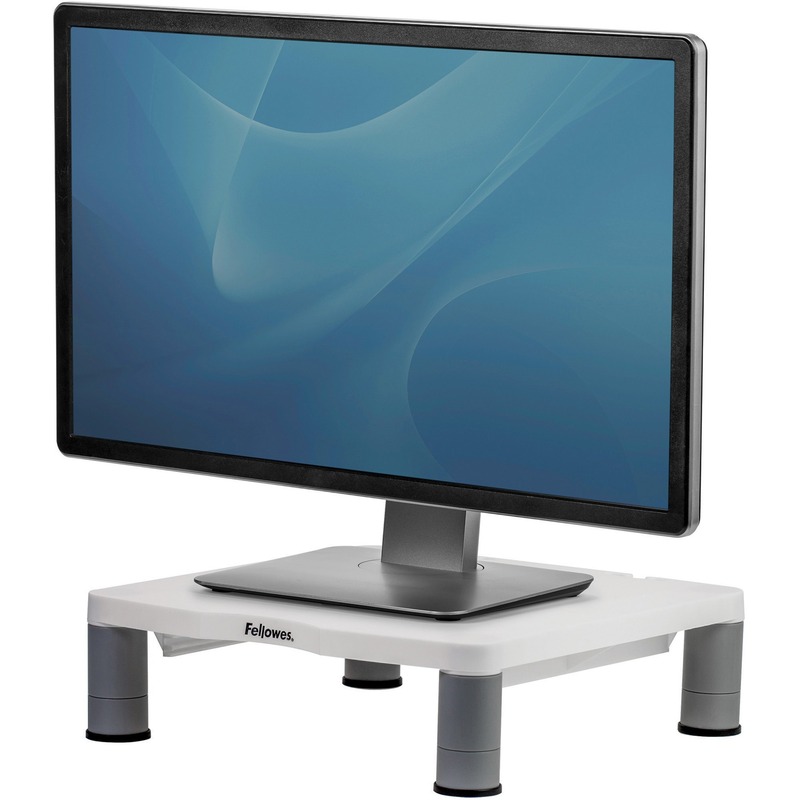 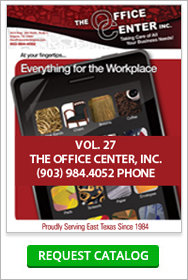 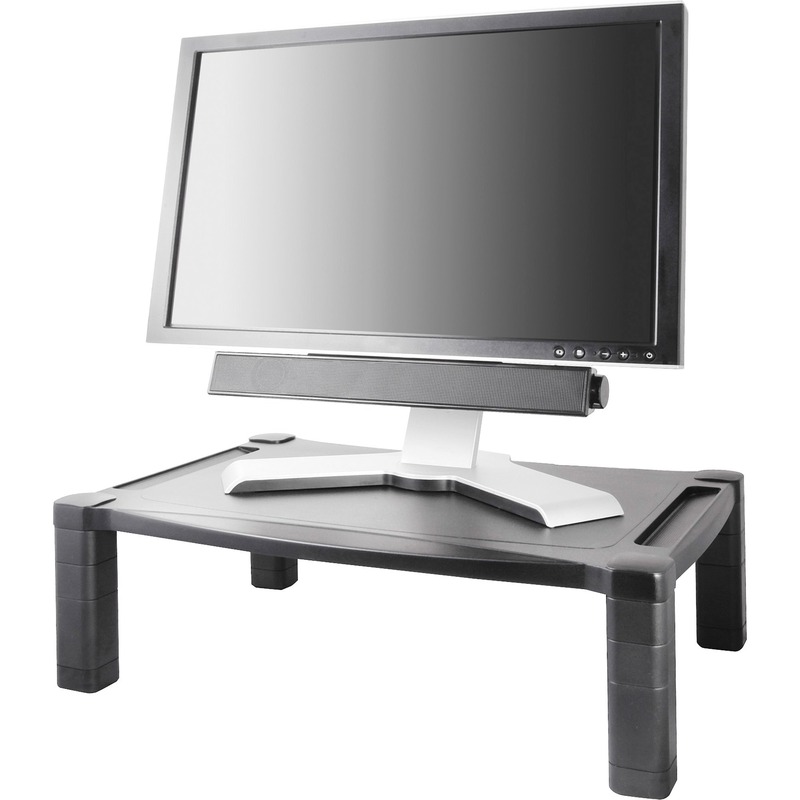 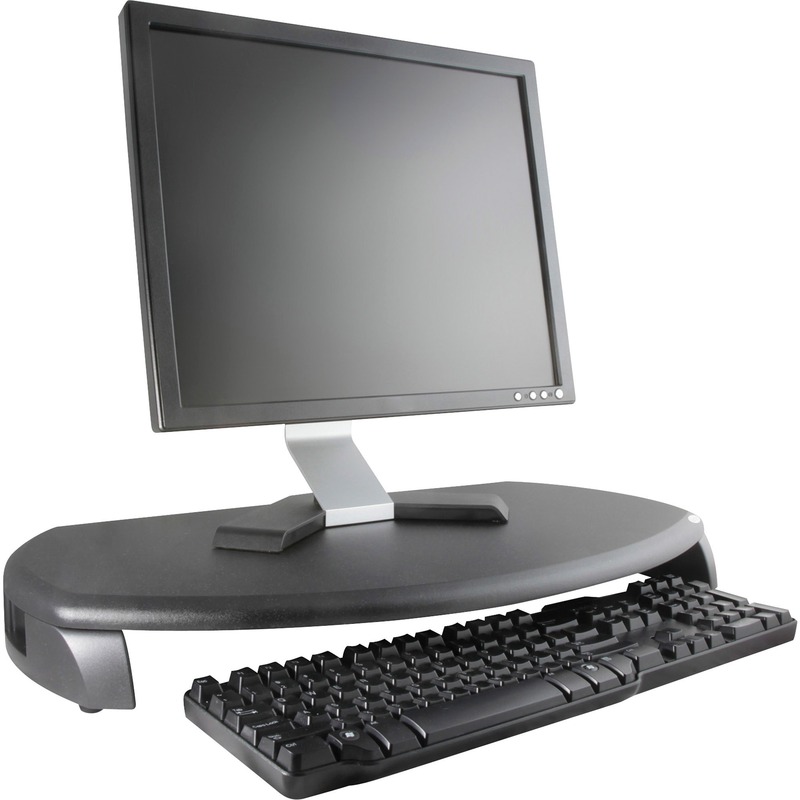 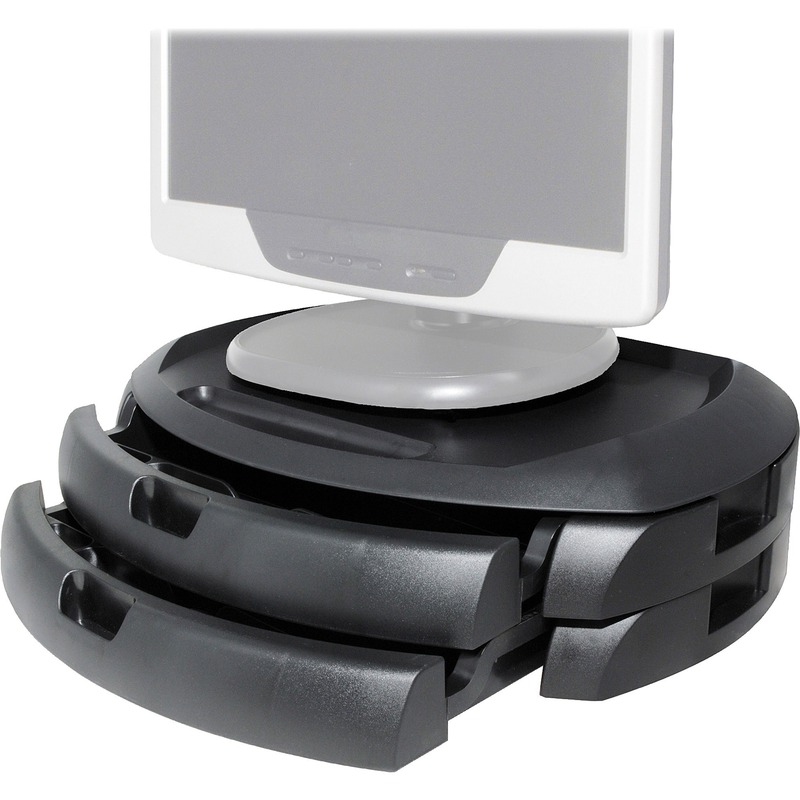 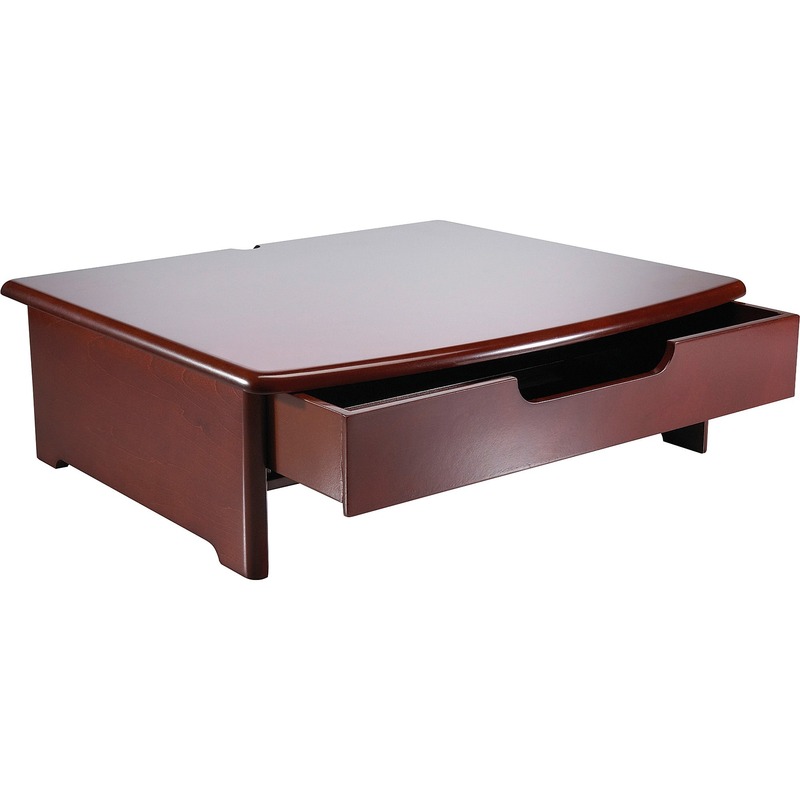 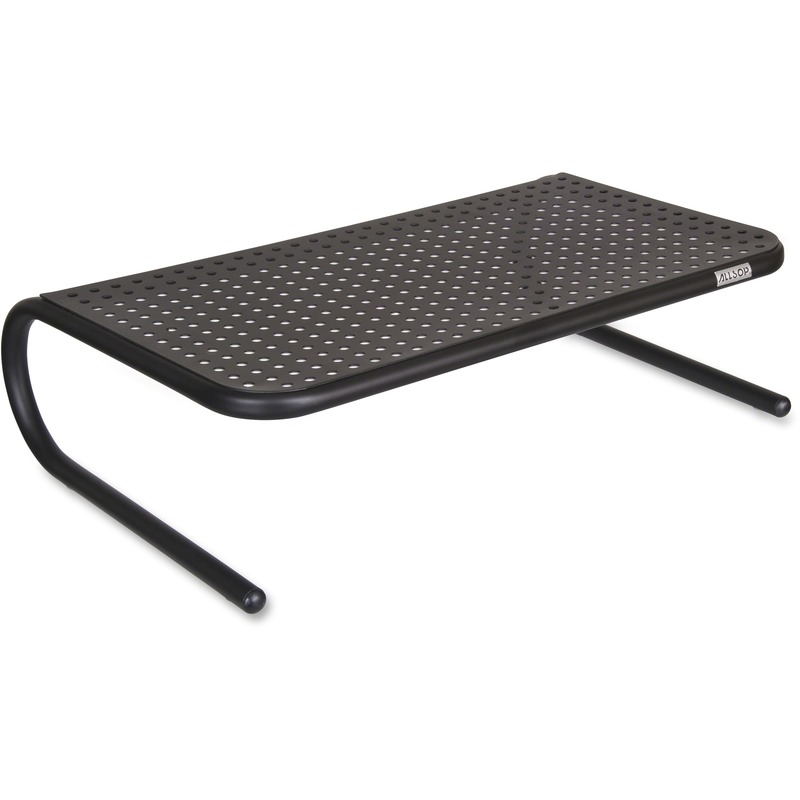 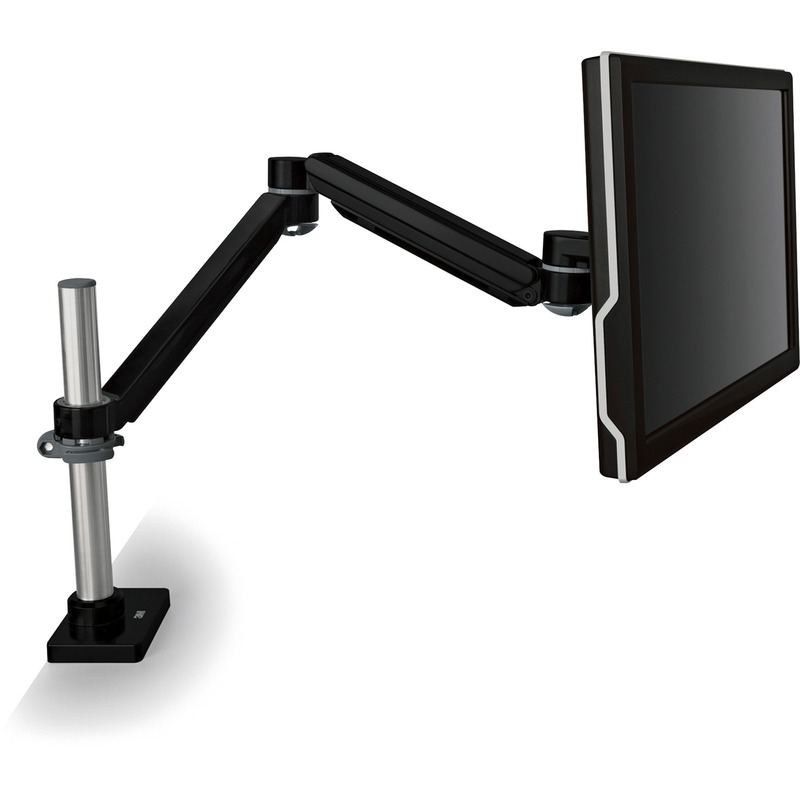 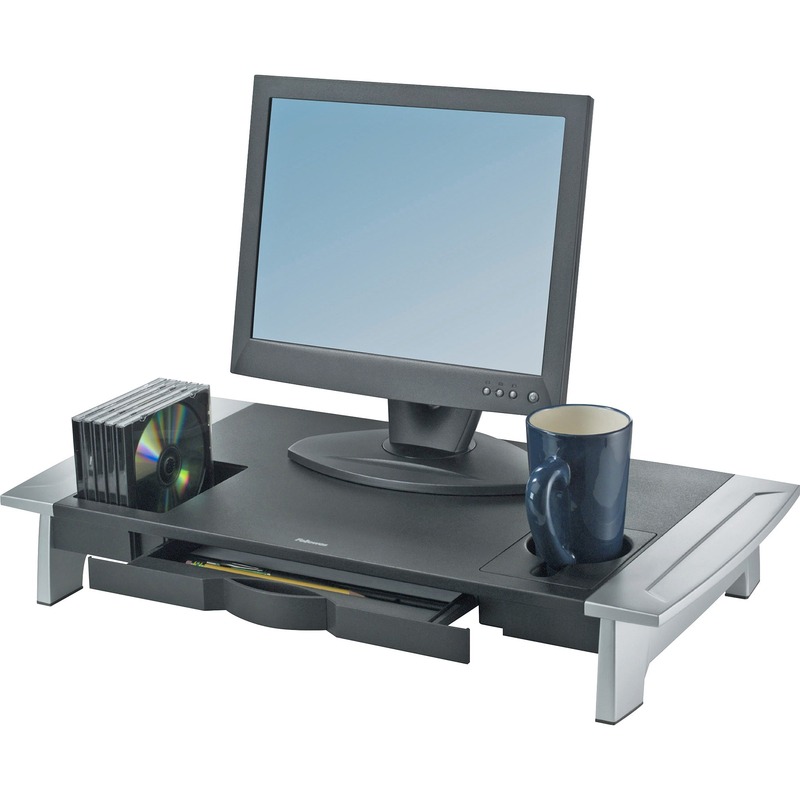 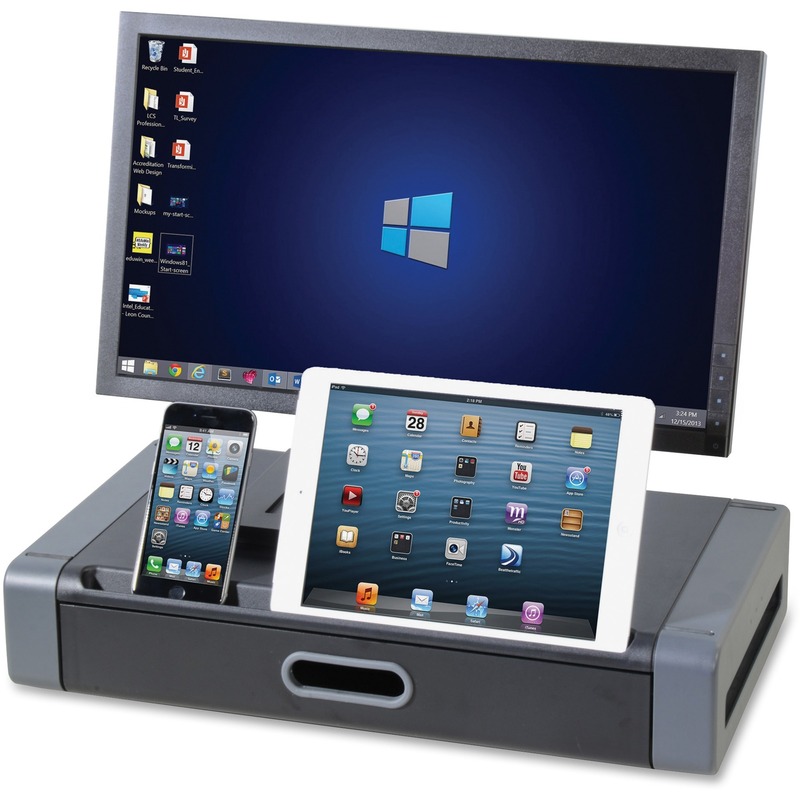 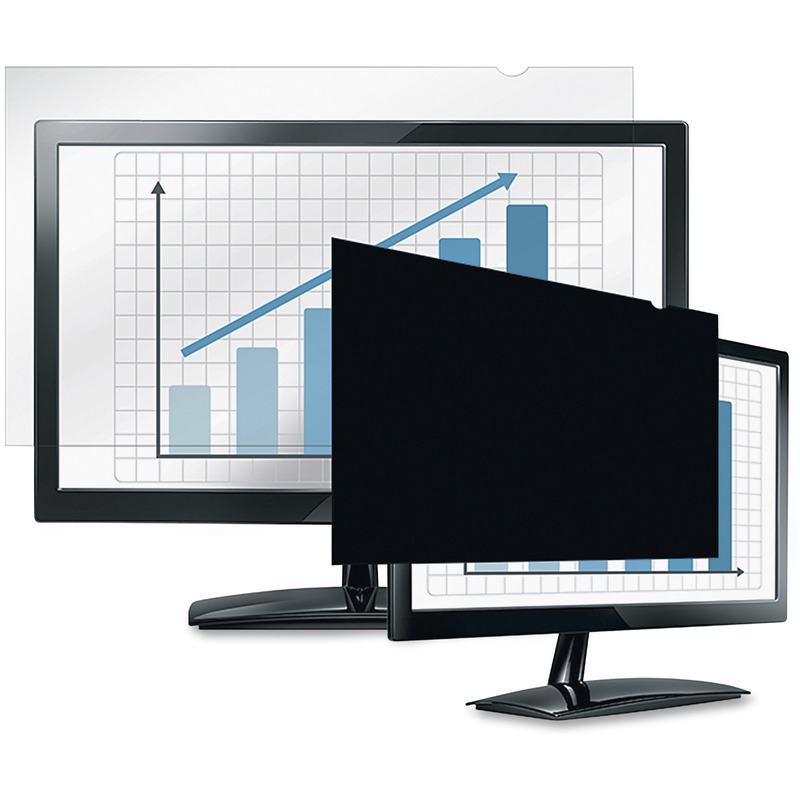 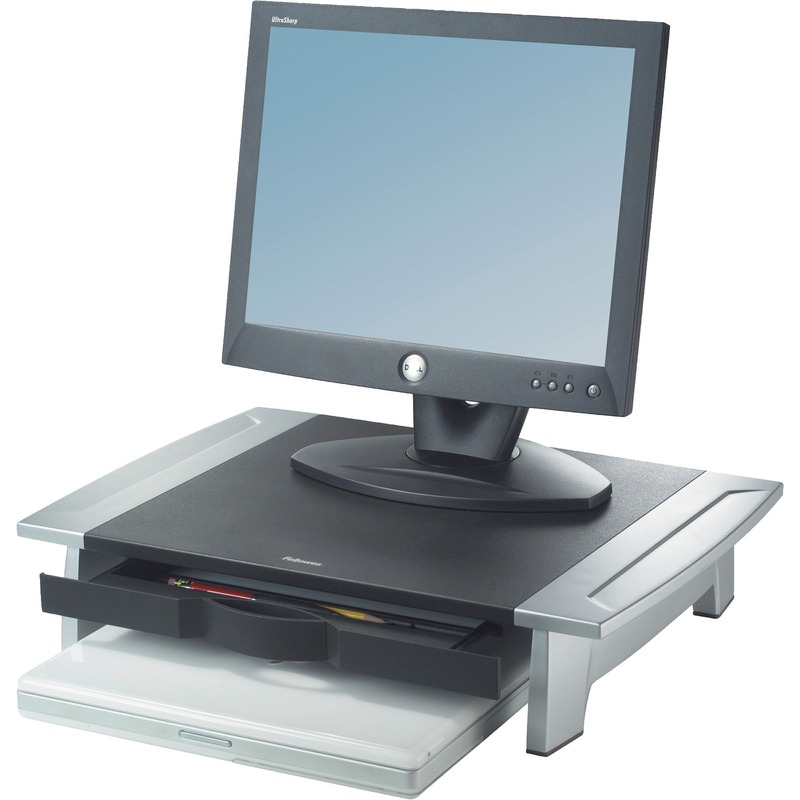 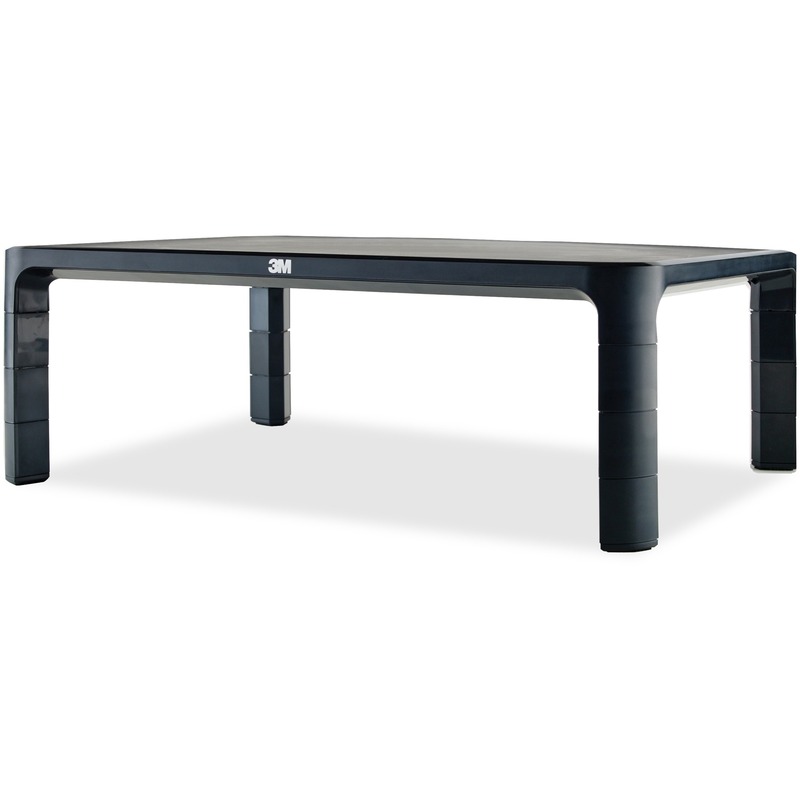 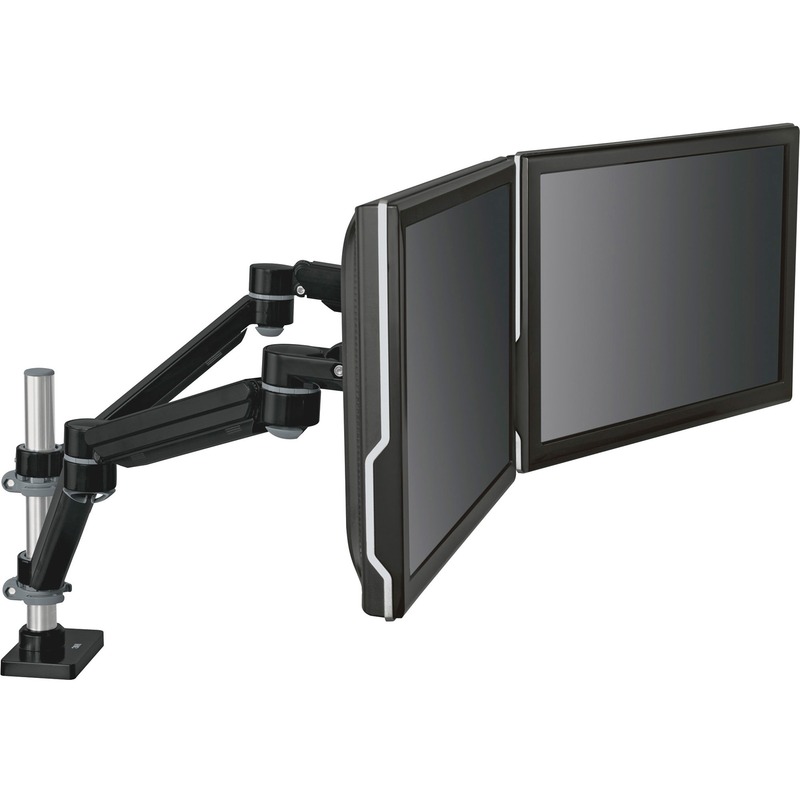 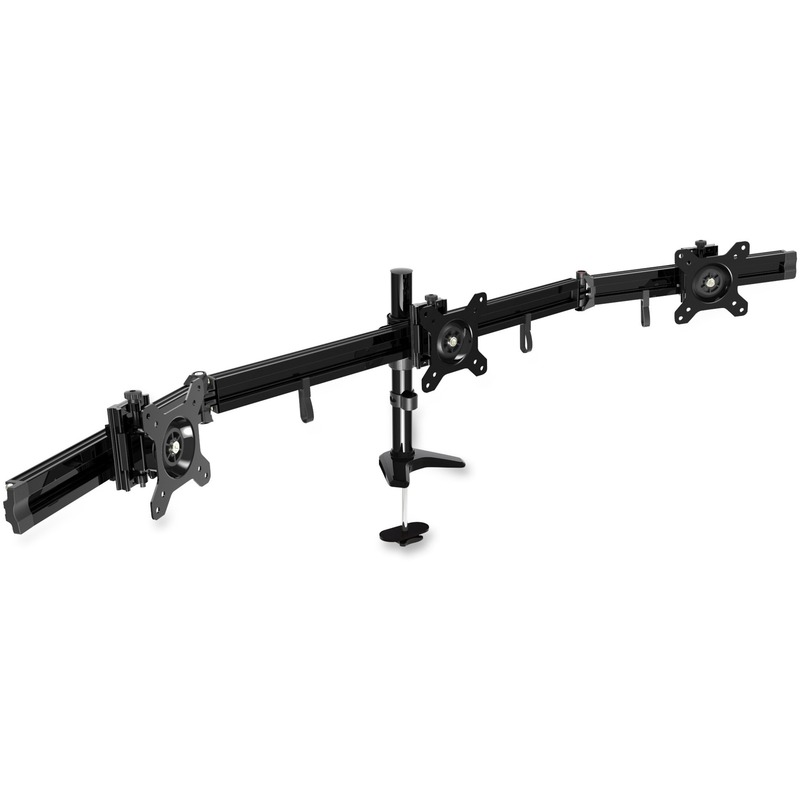 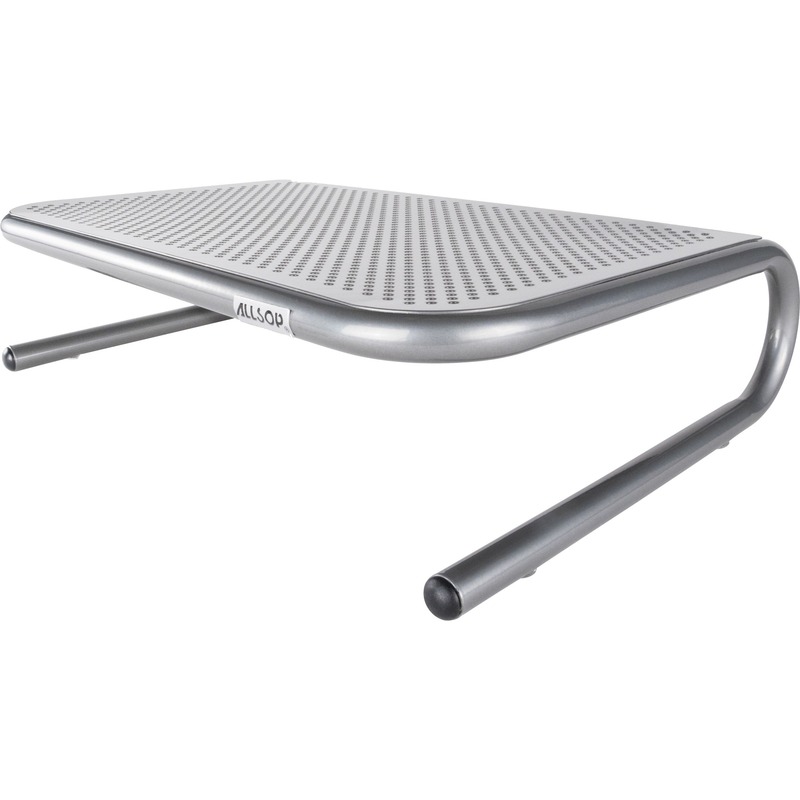 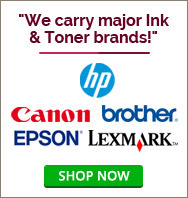 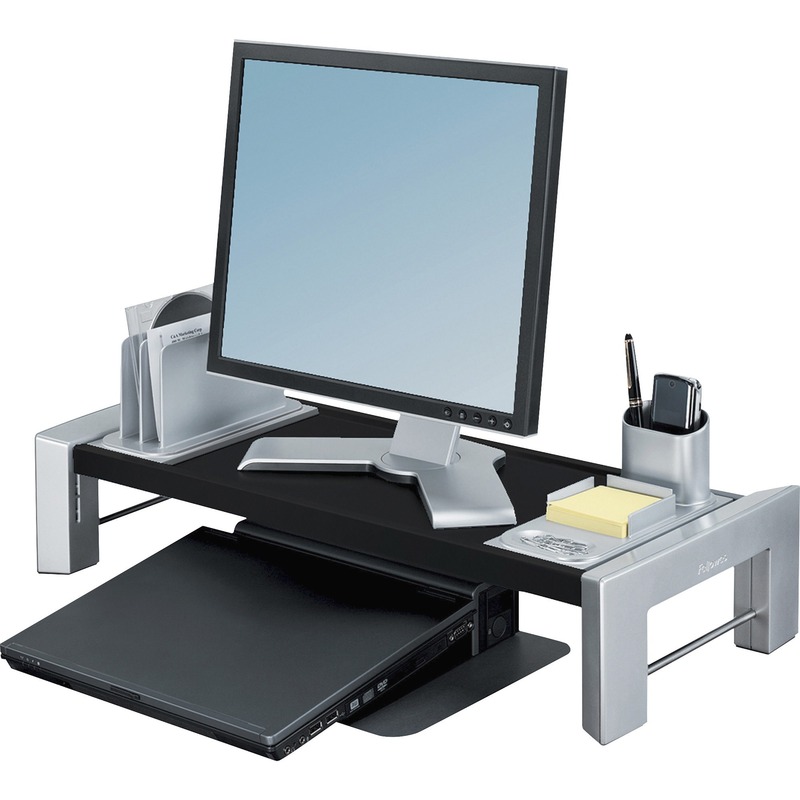 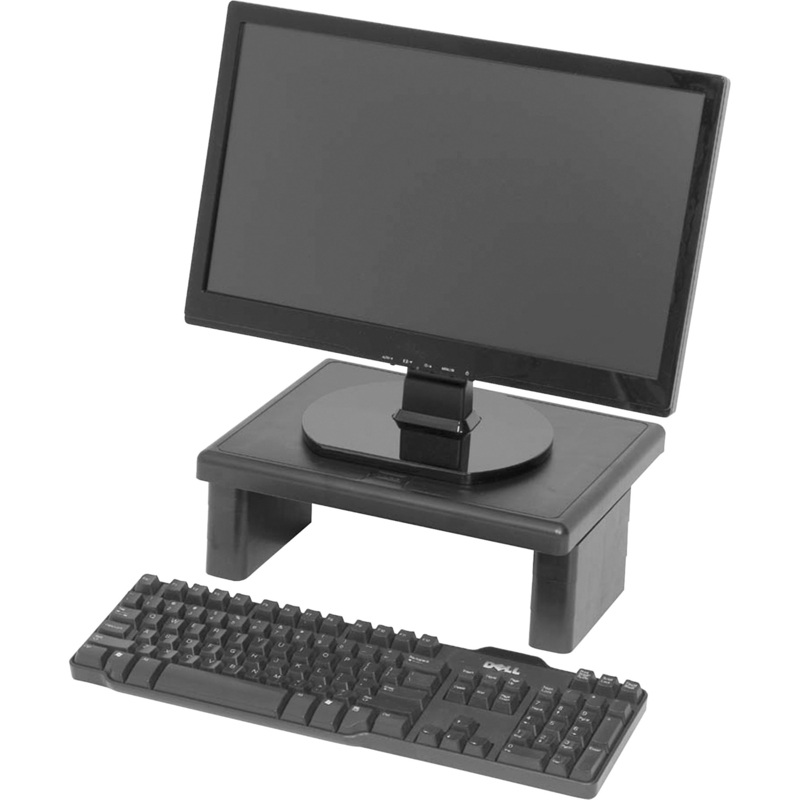 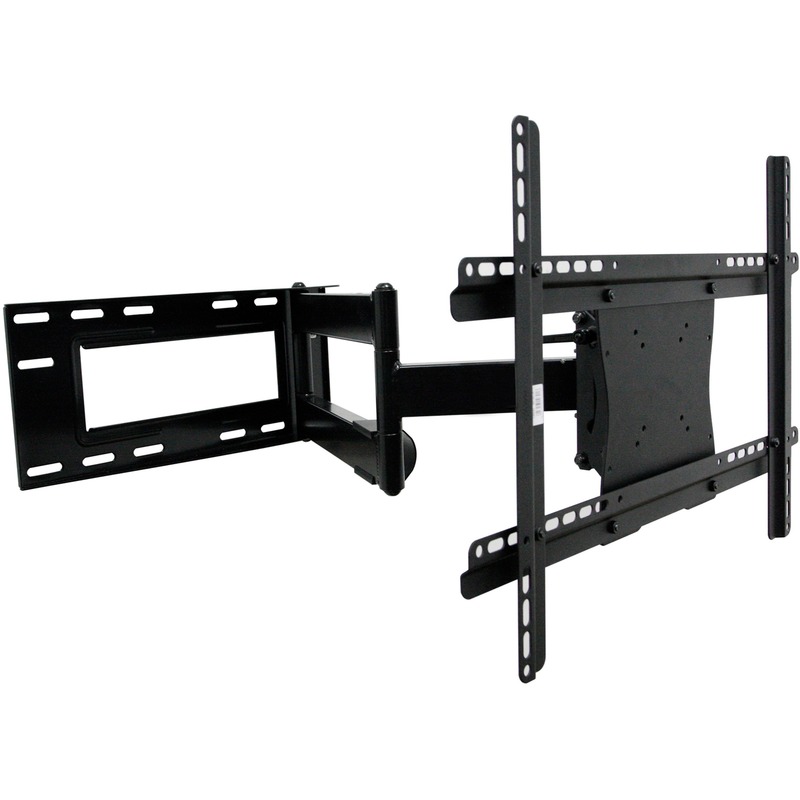 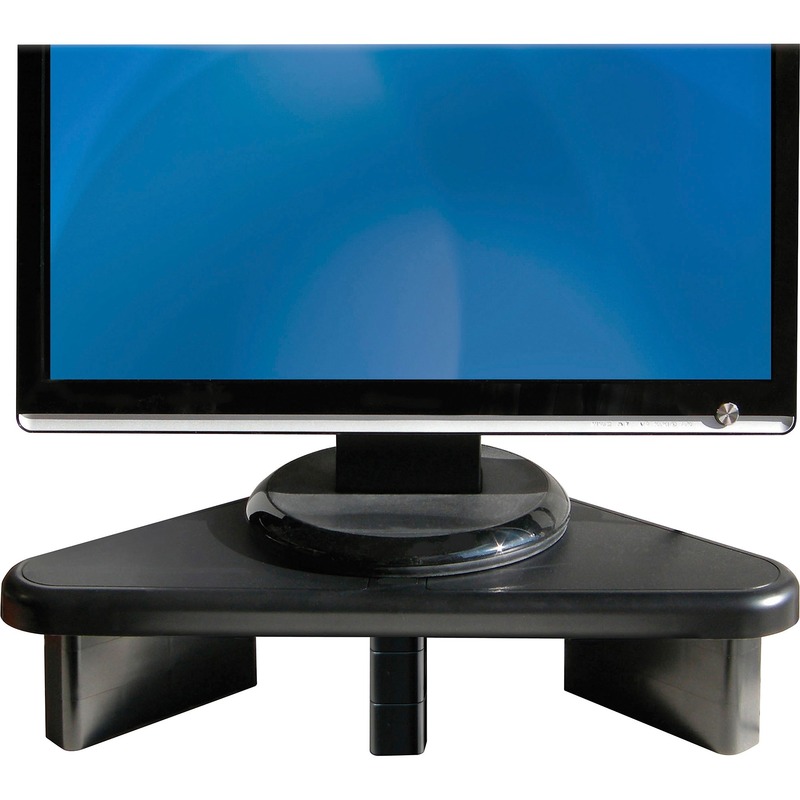 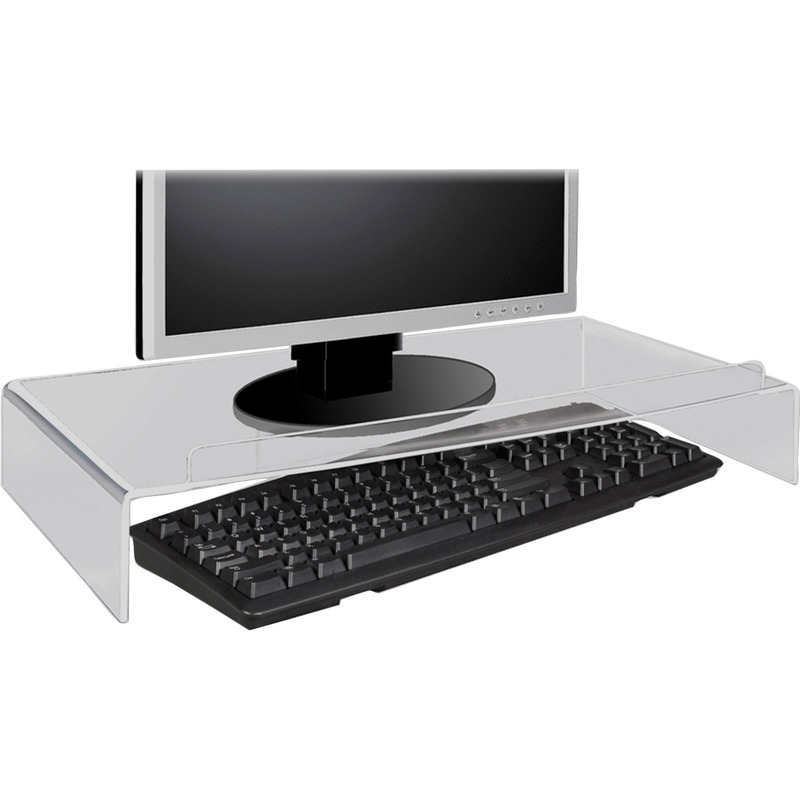 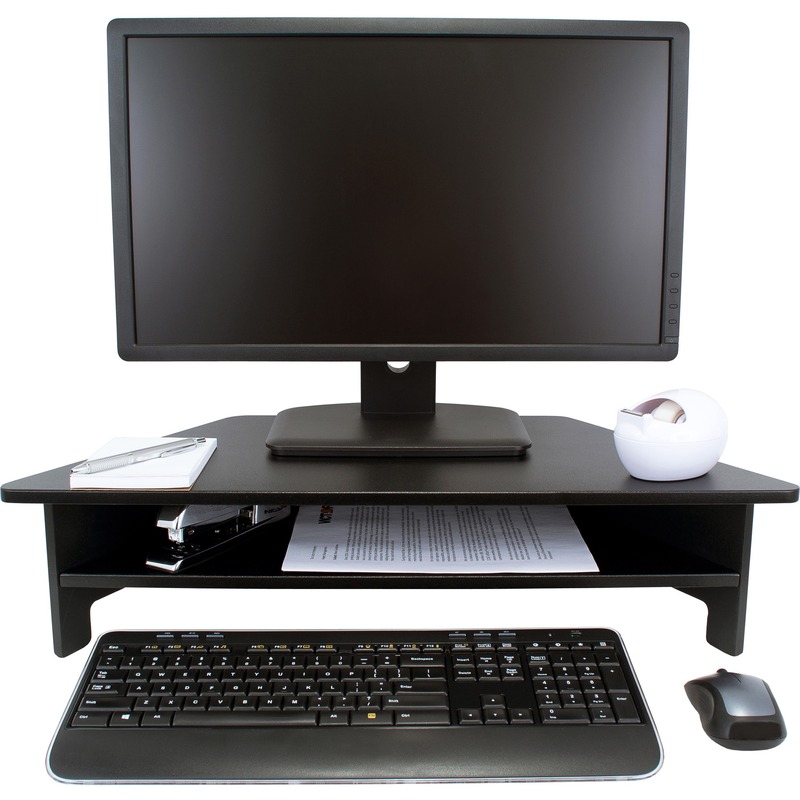 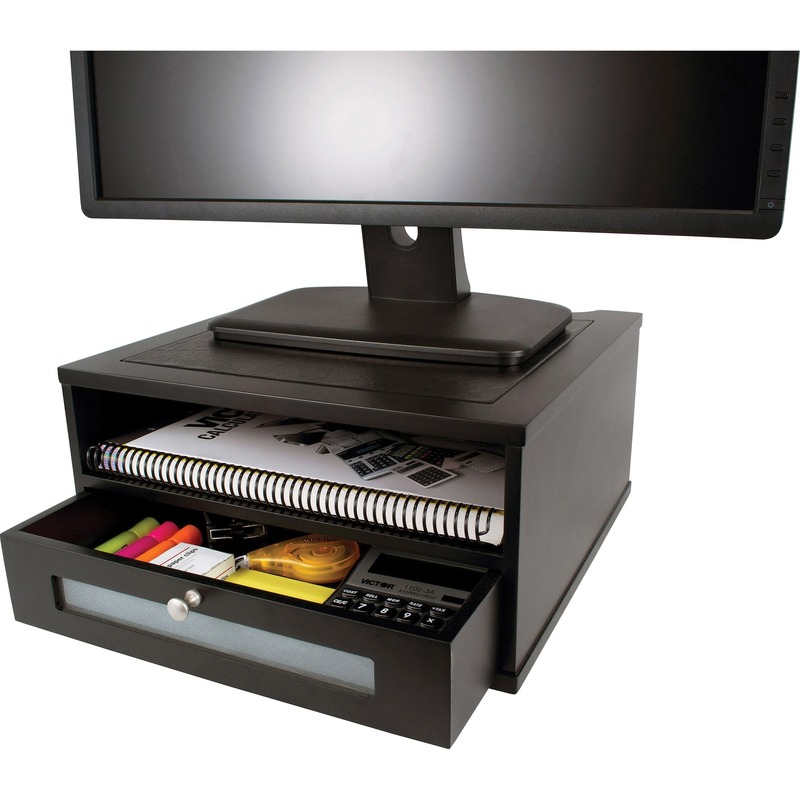 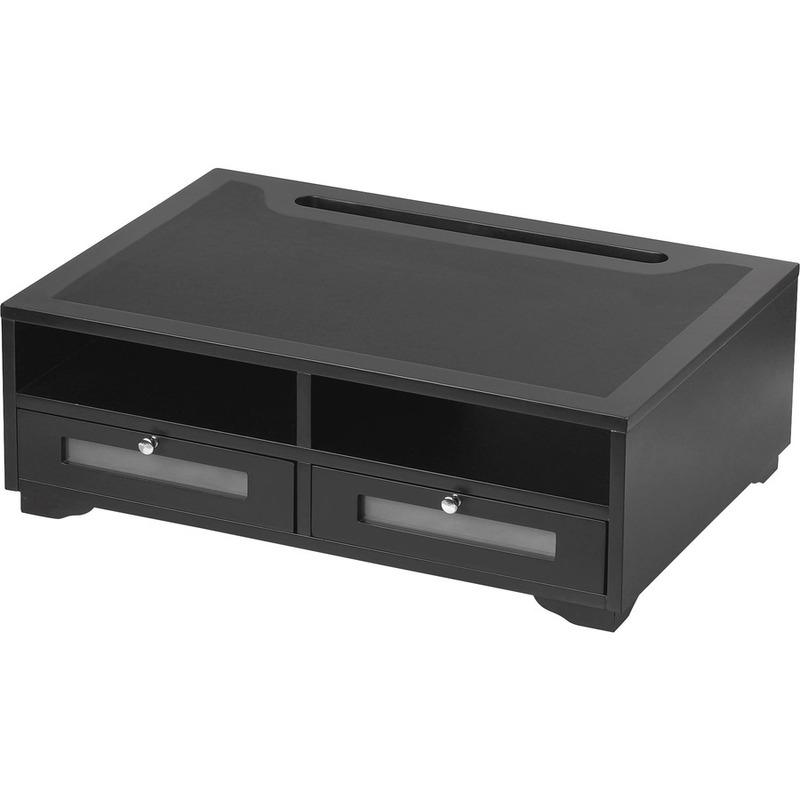 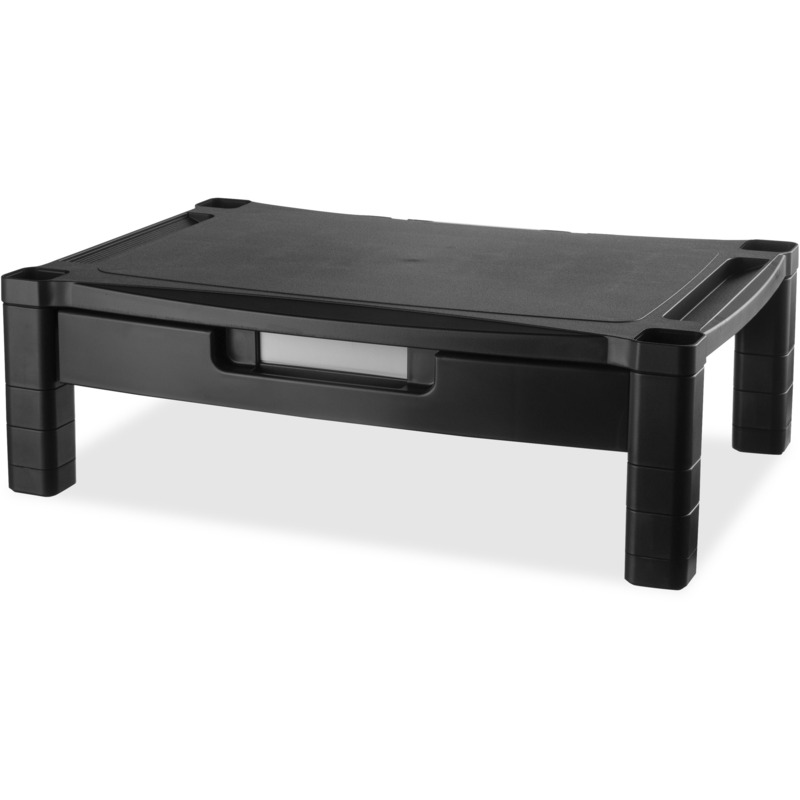 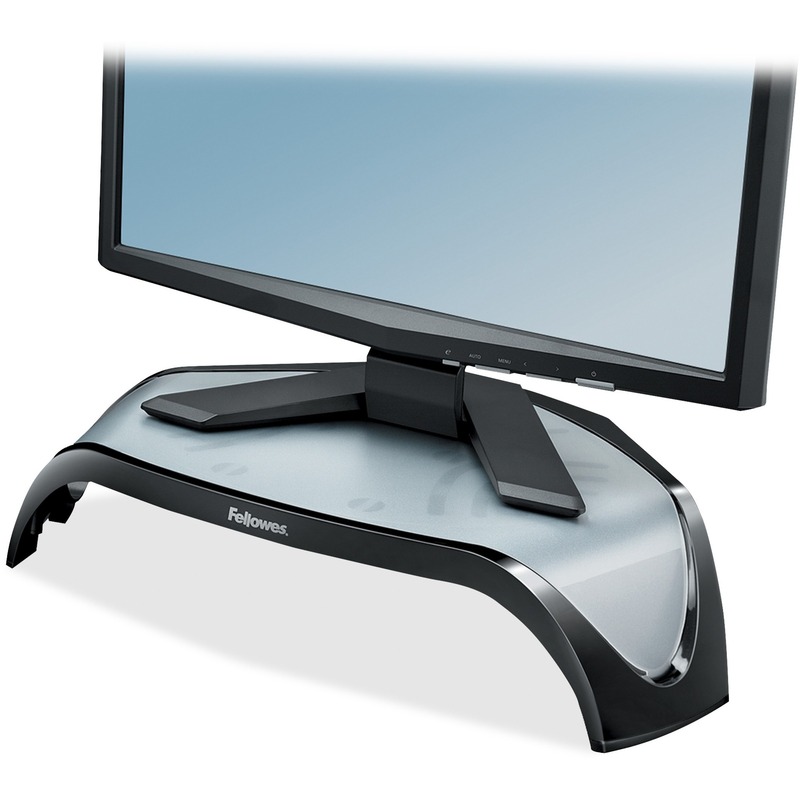 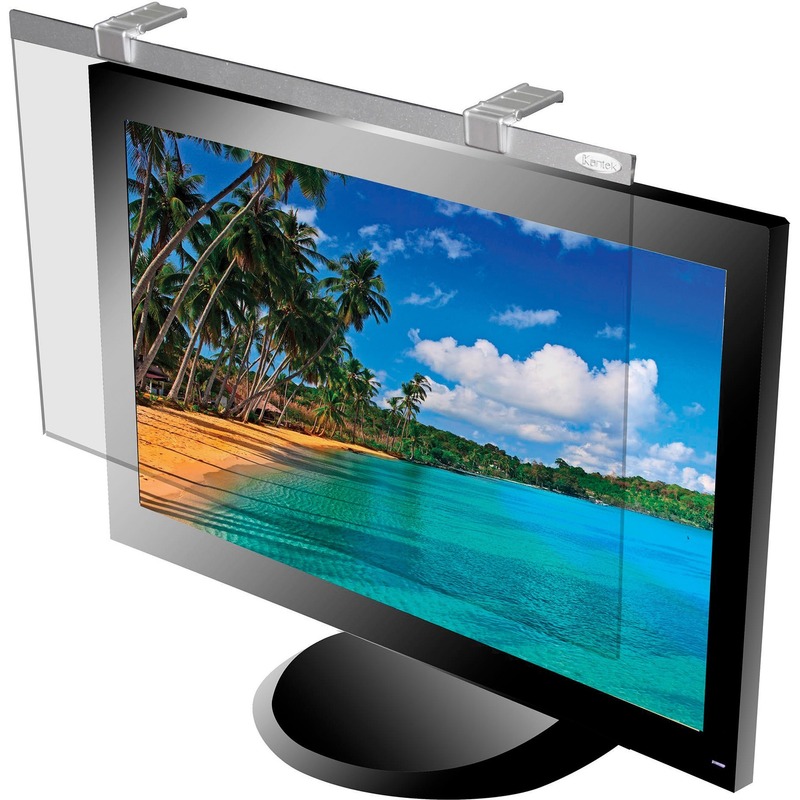 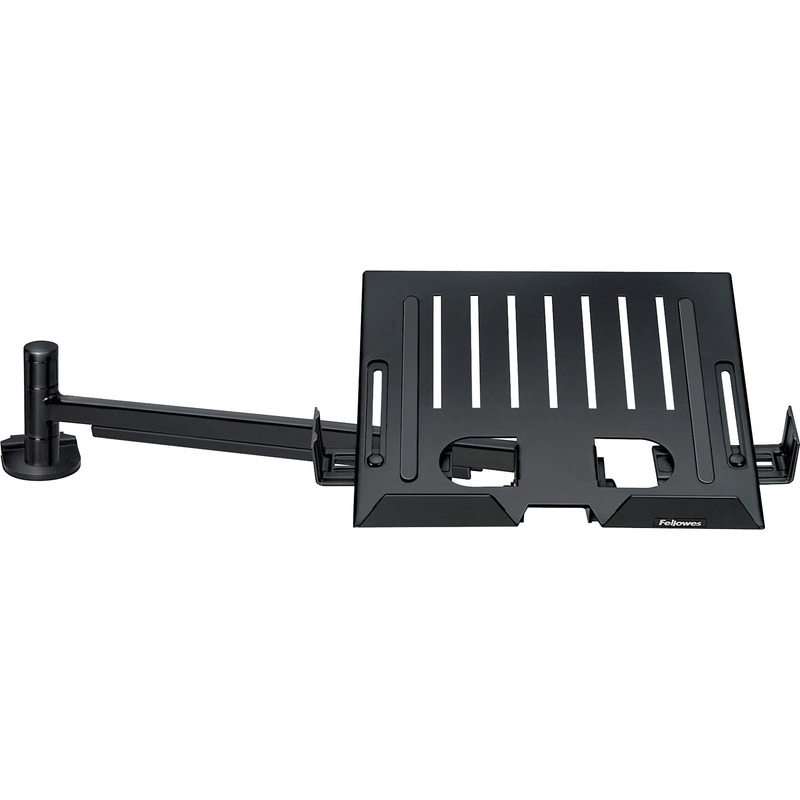 and 21"
Steel construction supports monitor or printer up to 40 lb. 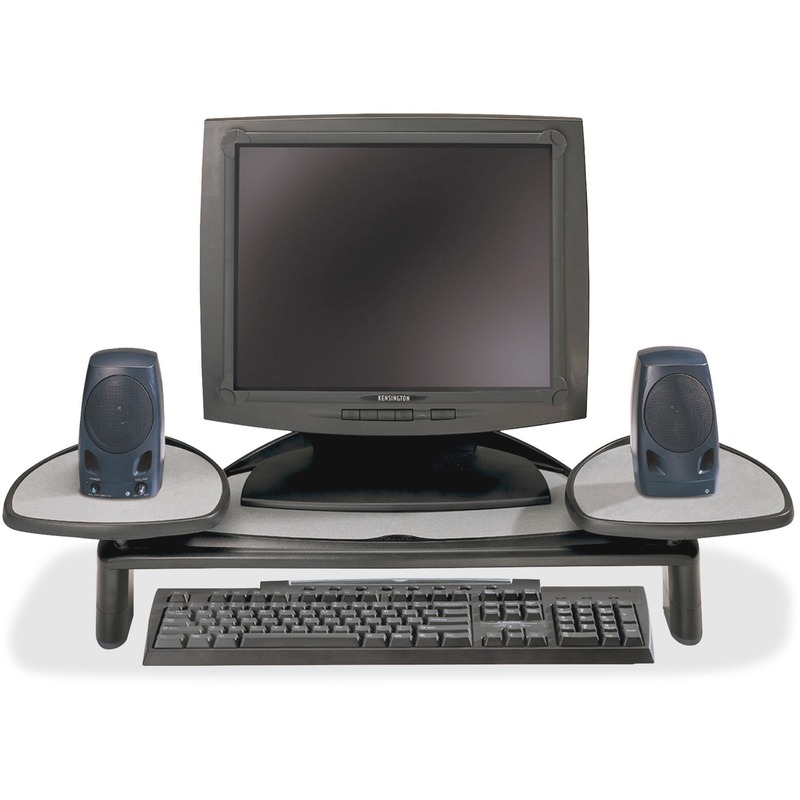 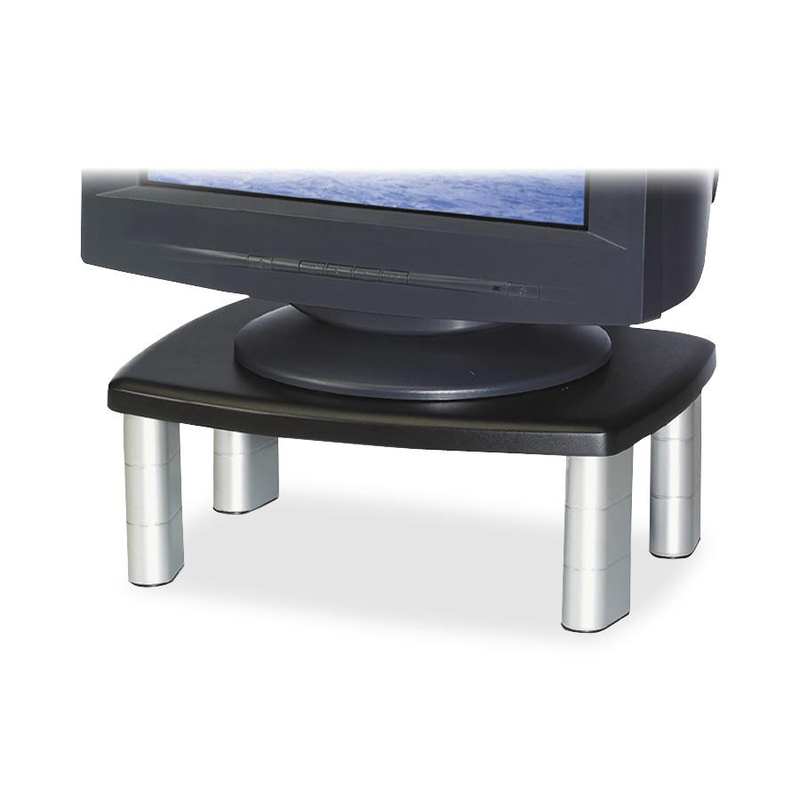 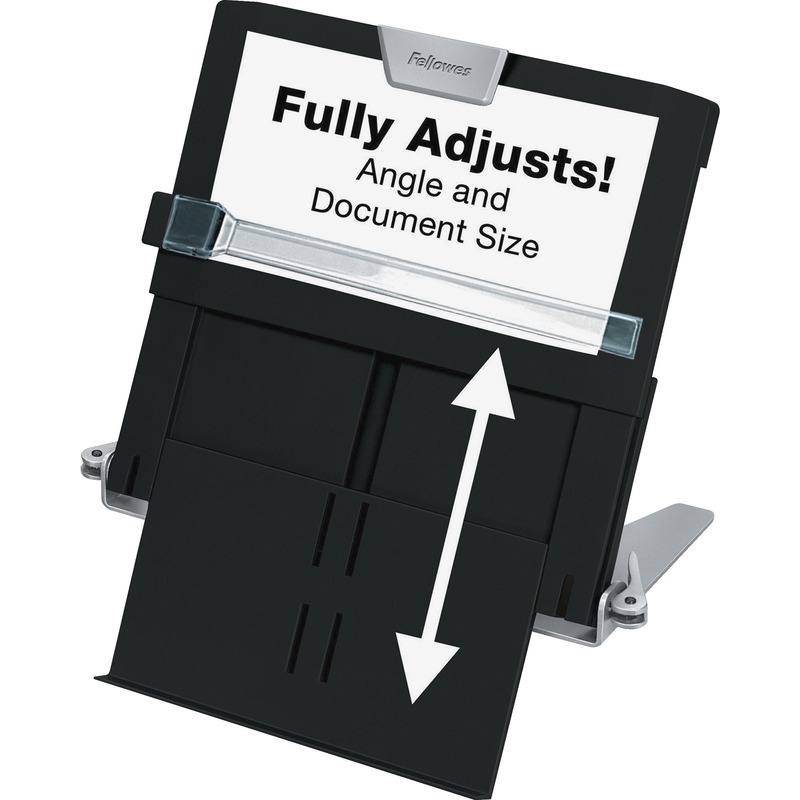 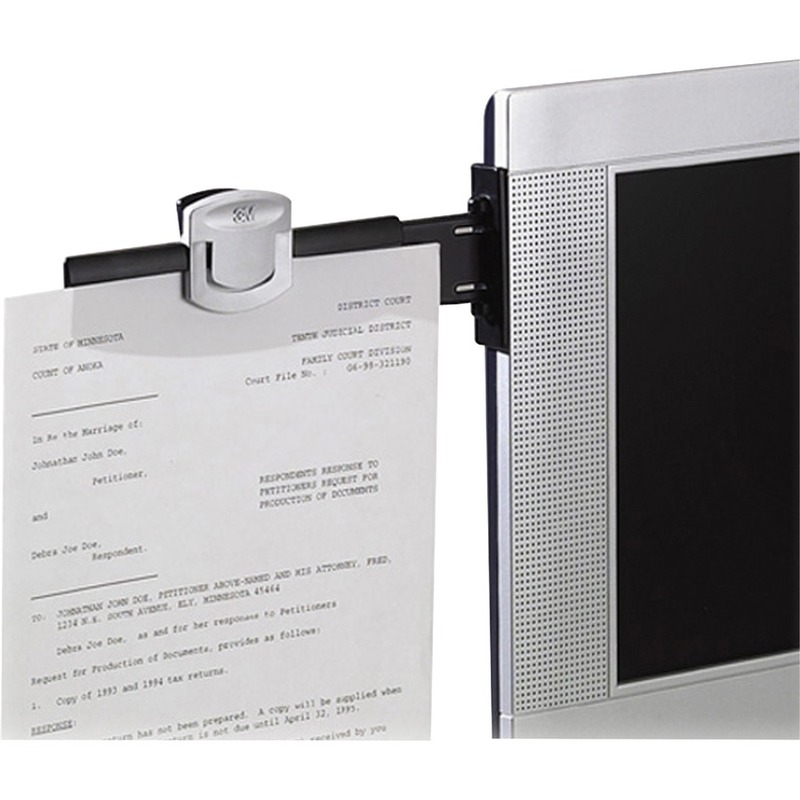 Pre-drilled holes allow you to raise height by 1", 2" or 3"
Fellowes Office Suites™ Premium Monitor Riser - Up to 21" Screen Support - 80 lb Load Capacity - CRT Display Type Supported - 4.2" Height x 27"